Fingerlab grants your wish with the Mac version of its excellent DM1 (Mac App Store link) drum machine (version 1.1). It features those classic Roland sounds and a whole lot more in a typical enable-this-button-to-play-a-beat-here step editor (or, if you like, you can tap out beats using the included drum pad). You can record beat patterns and create songs and DM1 supports MIDI input. Like the iOS version it’s a clever and capable way of getting your beat on. 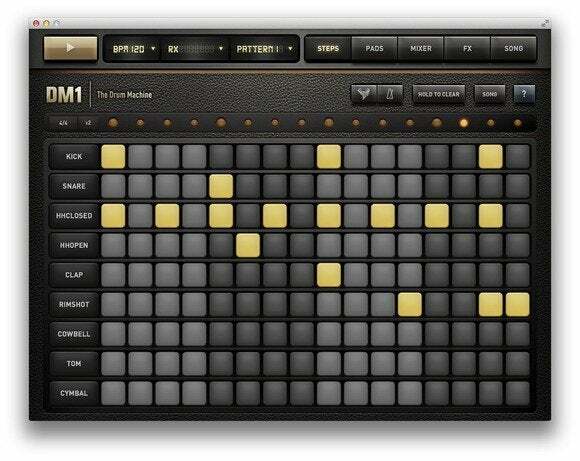 Turn your Mac into a drum machine with DM1.